“No other details are being released,” according to a spokesperson for the Harris County District Attorney’s Office in response to an inquiry from Breitbart Texas. 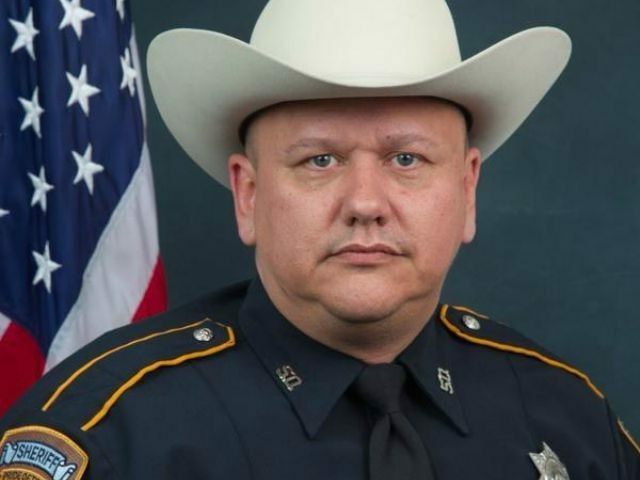 As reported by Breitbart Texas, Harris County Sheriff’s Deputy Darren Goforth was executed at a Chevron service station in Houston at about 8:30 p.m. on August 28th. The officer was in uniform at the station and was driving a marked patrol vehicle. Initial accounts conflicted as to whether the officer was fueling his patrol car at the time of his murder, or if he was walking out of the convenience store. Official information, confirmed by Breitbart Texas, revealed that Deputy Goforth just left the store and was walking towards his patrol vehicle when he was shot. Eyewitnesses reported that a black male wearing a t-shirt and shorts walked up behind the officer and shot him in the head and in the back. Harris County District Attorney Devon Anderson later revealed that the alleged cop-killer shot the deputy 15 times, as reported by Breitbart Texas. 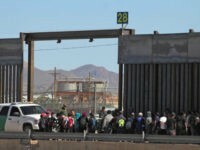 Breitbart Texas traveled to the scene immediately after the execution of the deputy, interviewed witnesses, and reported when police took a “person of interest” into custody. Breitbart Texas also determined the identity of the suspect prior to his name being officially released by the Harris County Sheriff’s Office and published an article within minutes of the official announcement. As reported by Breitbart Texas, the escalation of anti-white and anti-cop rhetoric has been building in and around Harris County since militant black activists began marching in support of #BlackLivesMatter after the suicide of Sandra Bland. Bland committed suicide in the Waller County, Texas, jail which is approximately 30 miles from the gas station where Deputy Goforth was executed. As reported by Breitbart Texas, a Texas-based internet radio show called for the lynching of whites and the killing of police officers. “This rhetoric has gotten out of control,” Sheriff Ron Hickman said during a press conference attended by two Breitbart Texas journalists. “We’ve heard ‘black lives matter,’ ‘all lives matter,’ well cops’ lives matter too,” said the leader of the third largest sheriff’s office in the country. As reported by Breitbart Texas, anti-cop graffiti threatening violence against police appeared in the Houston area just days after the deputy was executed. The next date set for a court hearing is December 9th. If convicted of the capital murder, Miles could face the death penalty or life in prison.